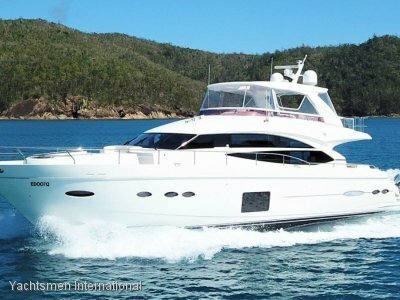 YACHTSMEN INTERNATIONAL is proud to present this 2012 68' HAMPTON 680 PILOTHOUSE MOTOR YACHT, custom built with every conceivable option, ready for immediate delivery ex Gold Coast. This immaculate HAMPTON 680 boasts a huge volume having an LOA of 68' [20.72m] and a wide beam of 18'2" [5.53m]. She is powered by dual 873HP Caterpillar C18's with shaft drives offering excellent economy and long range capability. Combining Hampton's super-efficient Kevlar layered hull design technology and a 8,000 litre fuel capacity, makes this vessel capable of long range, blue water cruising. The perfect formula to reach those far away destinations. High quality is evident throughout the interior by the impeccable satin finish timber finishes, luxurious leathers, European appliances and state-of-the-art entertainment system including Tracvision Satellite M7 TV. 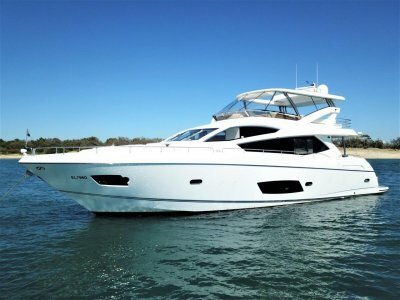 The HAMPTON 680 is an entertainer's dream boasting a spacious aft saloon, large lounge and dining areas, panoramic picture windows, generous amidships galley, huge cockpit with breezeway cover enclosure and a large clear enclosed flybridge. Accommodating up to 8 guests, comprising of a full beam master stateroom, guest VIP stateroom, portside stateroom with side-by-side single beds & aft under & over singles, not to mention a dedicated laundry utilities room. 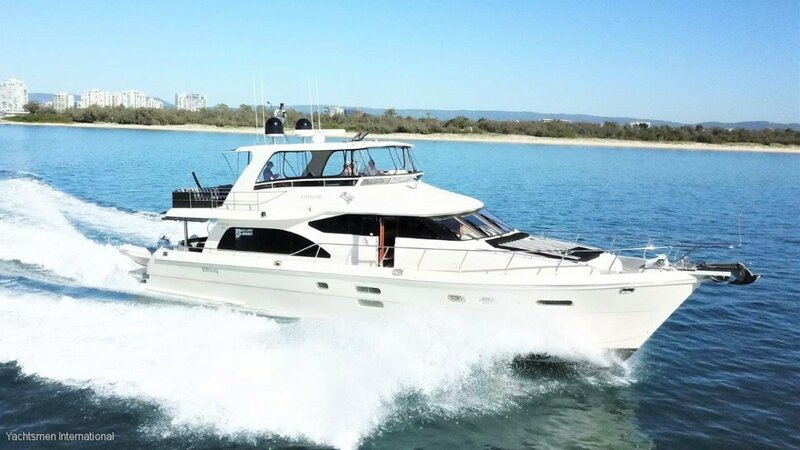 The option list on this HAMPTON 680 is extensive including Hydraulic bow & stern thrusters, 12' digital Wesmar stabilisers, dual Onan generators, robust water chilled air-conditioning system, hydraulic lowering swim platform [easy tender launch & retrieve] Simrad navigation plus additional screens added, 4x station controls, 110l/hr watermaker, underwater lights, ice maker, custom stainless steel upper deck sun beds plus much much more. 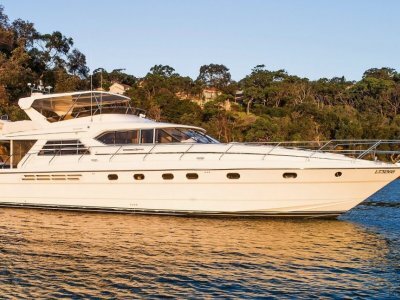 This 68' HAMPTON 680 PILOTHOUSE MOTOR YACHT is managed professionally and would suit a buyer looking for a vessel fully optioned and presenting in exceptional condition. Antifoul, engine and generator service completed August 2017 ready to go cruising. 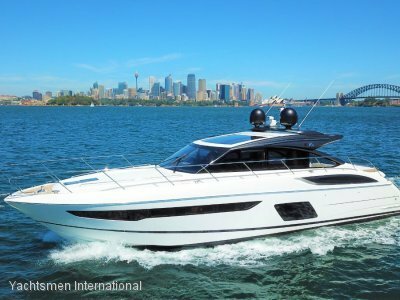 17 knot effortless cruise, 22 knot performance and long range service speeds of 10 knots consuming a mere 55 Litres per hour ! Please call our office for further information or to arrange a private viewing.